There’s a lot of work to do everywhere in this country, and it felt so good to get some of it done today . Marc, Wyatt and I were three of the 40 lucky people who got to volunteer today on this National Day of Service in honor of Rev. Dr. Martin Luther King, Jr. We were signed-up to work in the Presidio, which receives its funding from sources other than the federal government, so our project could go forward. 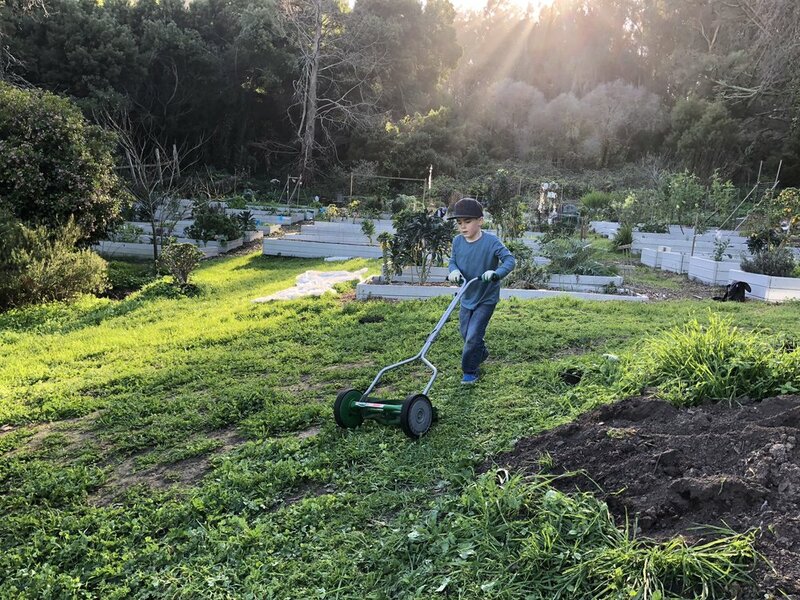 The 660-ish people who had registered to work in other parts of the Golden Gate National Recreation Area were told their day of service was canceled, courtesy of the government shutdown. We worked in an area of Fort Scott with 23 other volunteers. Together, we moved a dump truck full of soil into wheelbarrows, down the hill, and into raised beds. We sheet mulched areas around the greenhouse. 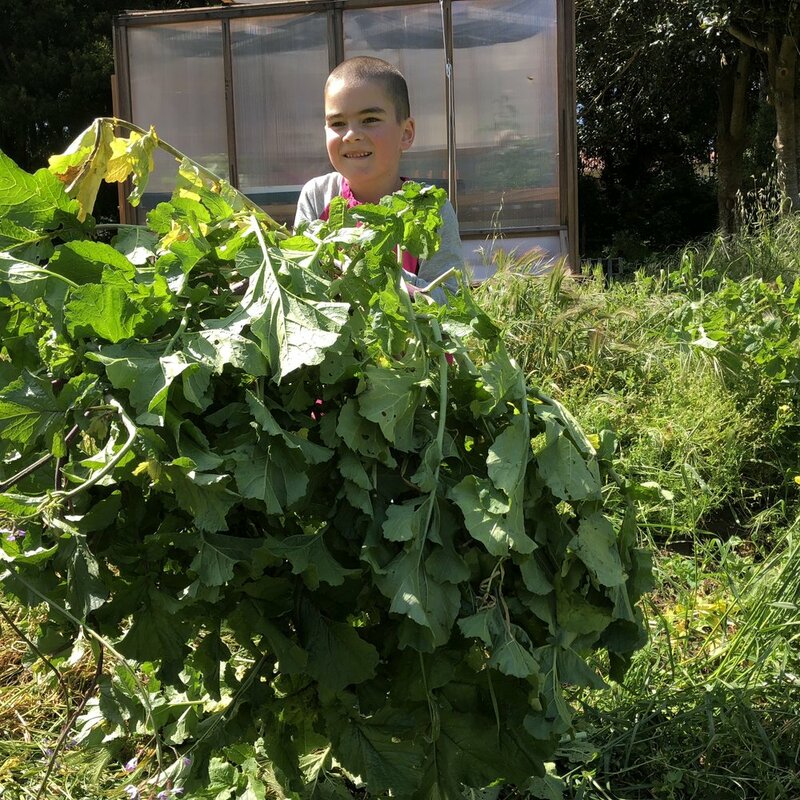 We pulled bags and buckets of weeds, and we moved the compost pile (which, as it turns out, was also a multi-story dwelling for some voles) into wheelbarrows and then into another dump truck so it could be transported to the compost yard. Wyatt did some mowing. Our group, which included several wonderfully industrious children, did an astonishing amount of work this morning. While we worked, we met new friends, including a family who had recently moved to San Francisco from Kansas. Wyatt and I also caught up with some of our fellow regular volunteers. Imagine all the projects those 660 other volunteers (and the thousands of others nationwide) would have accomplished today had the presidential temper tantrum not interfered. Lost volunteer work is a very small consequence compared to what federal workers are dealing with, including the inability to pay rent or buy food because they haven’t been paid for a month, but it’s a consequence nevertheless. When we finished our work, we all gathered together and reported on our progress. As part of our closing circle, the kids read suggestions about what change they wanted to see in the future. Ideas included: Make things fair for everyone, no fighting, use less plastic, especially plastic water bottles, and make everything out of chocolate. (Dream big.) Lunch was pupusas, rice, beans, salad, and plantains from Express Liquor & Pupuseria. I know I’ve mentioned before how good their food is, so consider this a reminder to go there and taste it for yourself. Regardless of how you spent your MLK Day, I hope in 2019, we all find ways to be do-ers. Let’s be people who are making the changes we want to see in the world. Thinking and talking are fine, but they’re not enough. We can think and talk while we’re working to make things fair for everyone (or perfecting a recipe for architectural chocolate). "OH MY GOSH, Wyatt! Why are you following me around?" "I love you, too," I said. 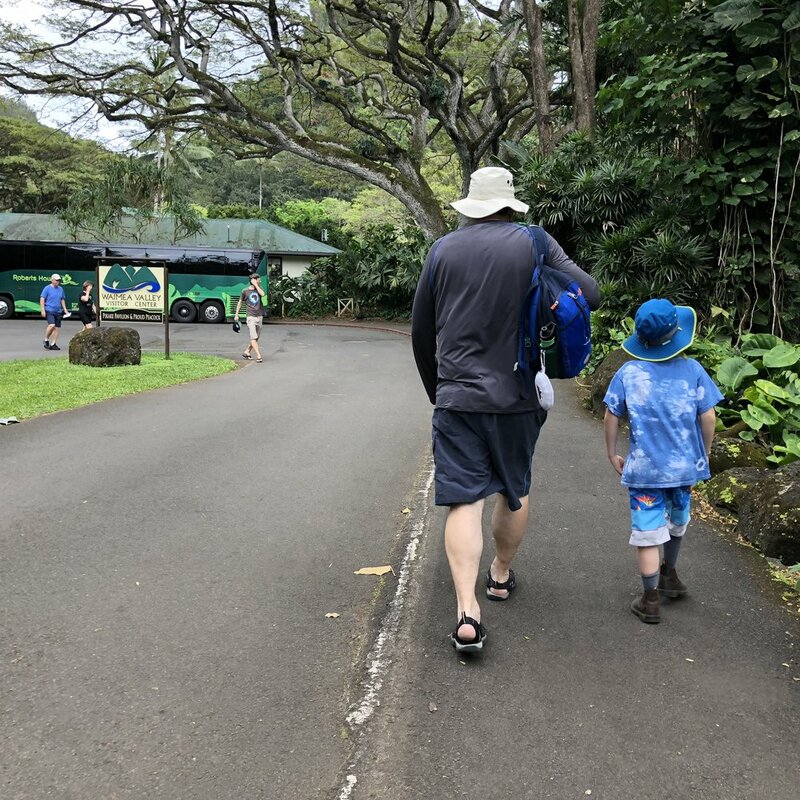 I was rushing around that morning, realizing that somehow, nothing was ready, and finding that even with direct instruction, the kid was not getting it done. His response was the best reality check ever. It won't be much longer before I'm trailing Wyatt just because I love him and not to make sure he has selected the proper footwear. "Hey, I'm sorry I asked why you were following me. It was a really dumb question to ask. I was feeling stressed out, and I think that's why I said it. Did you feel bad after I said it?" "Well, yeah, kind of. I mean, I don't KNOW why I was following you. I just was. Because I love you." "Of course," I said, "I'm really sorry." "It's okay..." he trailed off as he focused on finishing the surprisingly difficult task of making his sandwich for lunch. Then he said, "You said you'd read me the story about the bunny before school. Do we have time?" We didn't really have time, but I read it to him anyway. As we headed off to school, he responded to my "Put on your sneakers...you have games today!" by putting on his hiking boots. When I asked him about it, he was totally bewildered. On the way to school, we hit traffic, and he was late. And you know what? It was just fine. I can't even believe this kid is seven now. We celebrated his birthday during a mini-vacation in Hawaii. 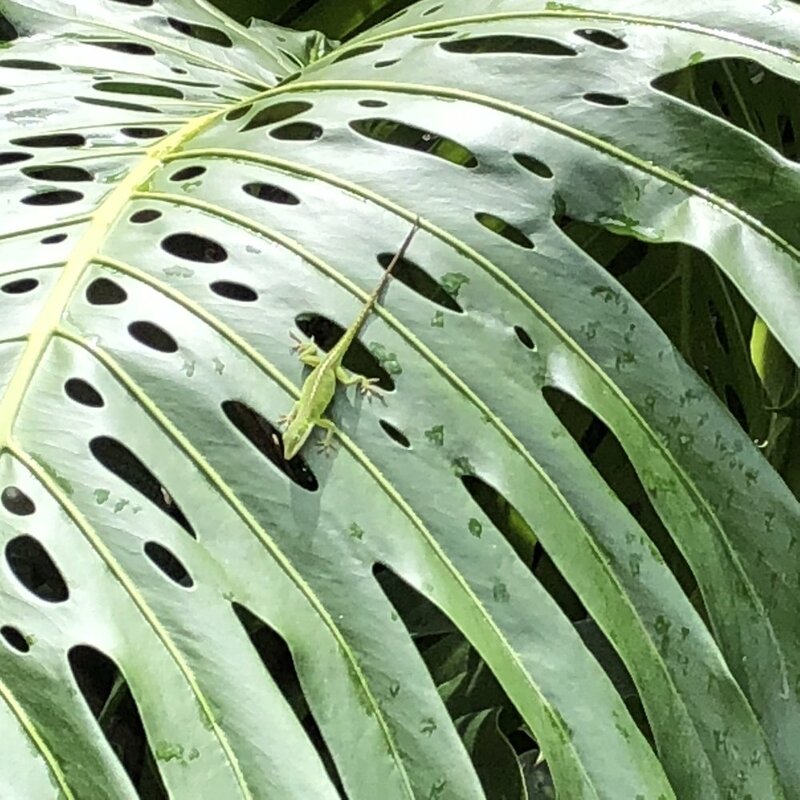 We mostly spent time at the beach, but on Earth Day, we volunteered at Waimea Valley. I know--nothing says loving Mother Earth like flying 3,000ish miles. Anyway. 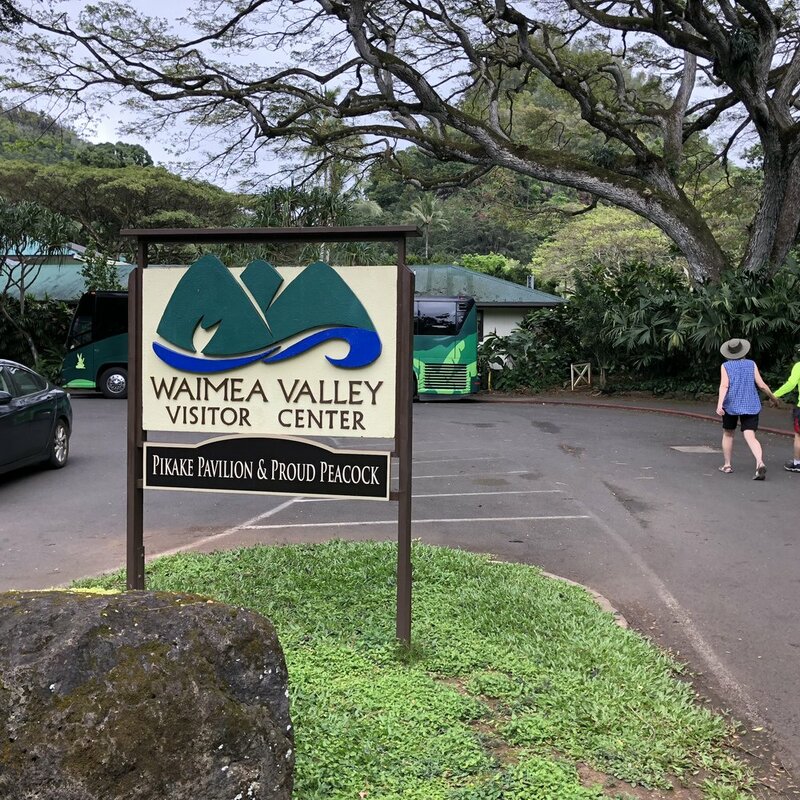 We started the day learning about the cultural significance of Waimea Valley and then pulled weeds along the trail with other families. 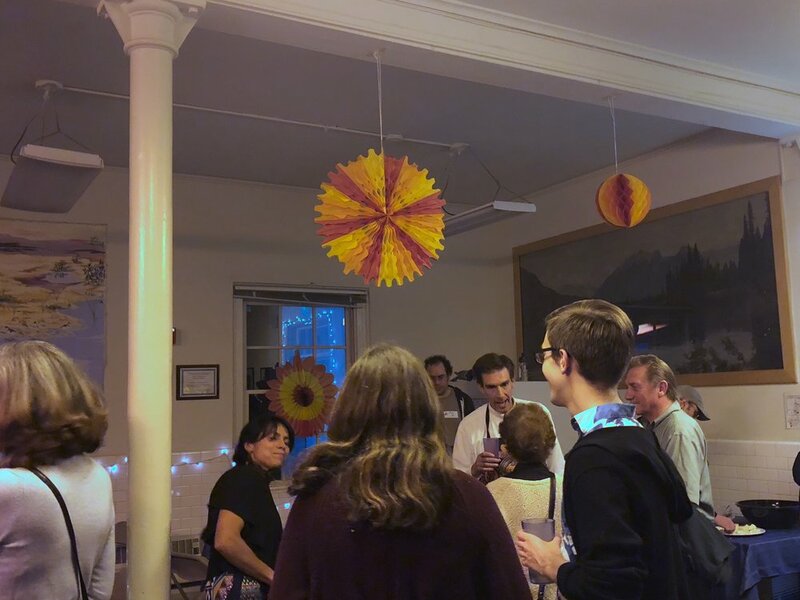 Later, while waiting out a rain shower (and seeing who won the raffle prizes) I learned about JustServe from a local woman sitting next to me. Apparently, it started in California and is a terrific resource for finding nearby volunteer opportunities. She said that when her kids are starting to act too selfishly, she logs on and finds a service project for the family to do. My kind of mom. During the afternoon, we explored the valley. Wyatt cajoled me into going swimming in the raging waterfall at the end of one of the trails. The experience was worth it, and Wyatt would have spent the entire day in there. He was so furious when I made him get out so we could hike back that we have no photos of us right out of the falls. But I got some on the hike back. We also visited Green World Coffee Farm. We had so many questions for their master roaster, and he had all the answers. Can you believe he roasts 400 pounds of coffee on a normal day, and closer to 800 during the Christmas season? It smelled heavenly in there. We ate our first chicos at Kahuku Farms. On Wyatt's actual birthday, we had shave ice, we snorkeled, and he paddled endlessly around on a boogie board. One of the best parts for everyone about being 7 is playing by yourself in the water (most of the time) while your parents lounge on the beach. Volunteering is so glamorous, isn't it? 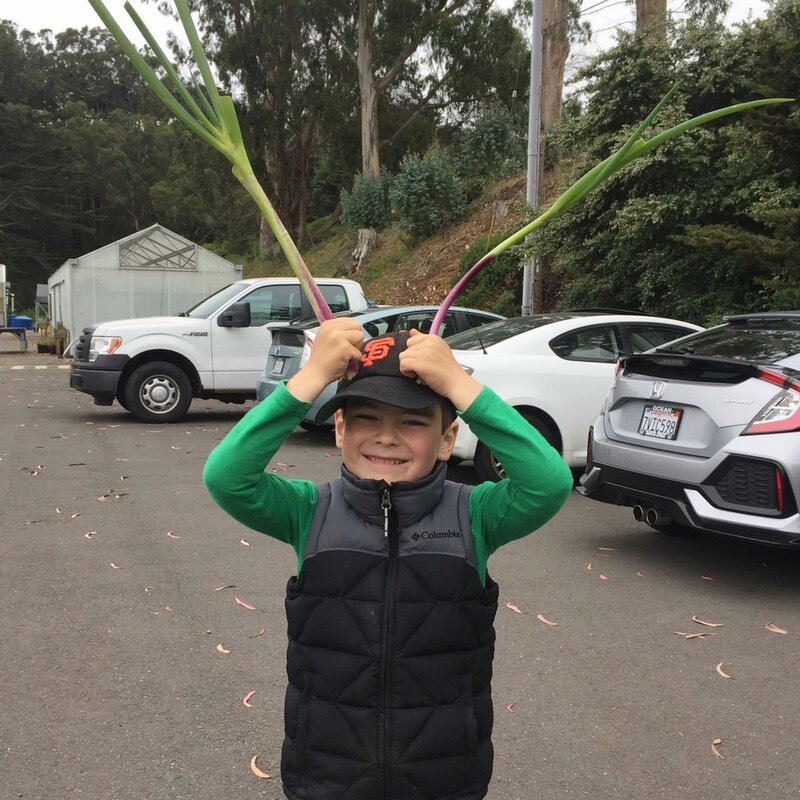 But as Wyatt remarked once we had finished our shift at the Presidio Nursery on Saturday afternoon, "That was WAY more fun than I thought it would be. I can't wait to go back!" And we will go back. This was our first family foray into "Volunteering for the Environment." "The Environment" is an (admittedly broad) area we have identified as a way our little family can work together to better our community. 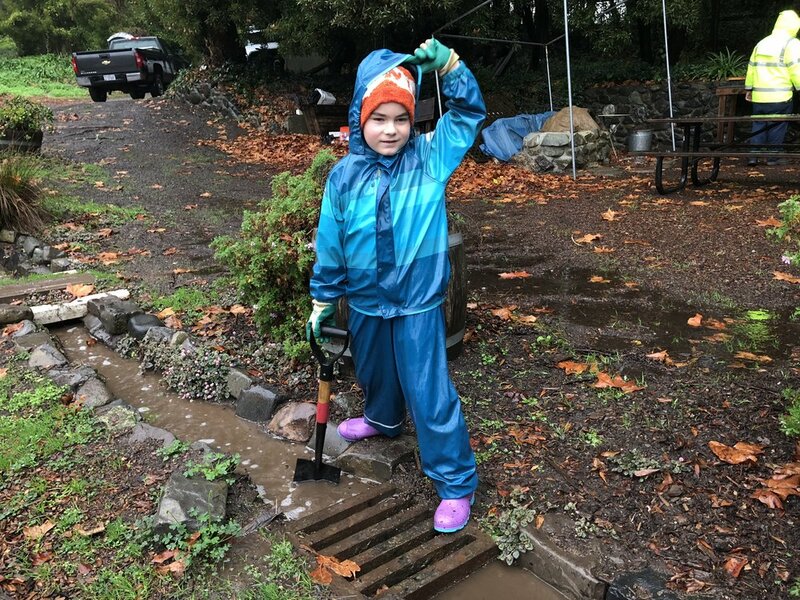 And as everyone knows, when we help in our communities all that good work adds up, and it helps our our state, and then our country (assuming California doesn't secede), and also the planet. Yes, we have lofty goals! And we are working towards them. 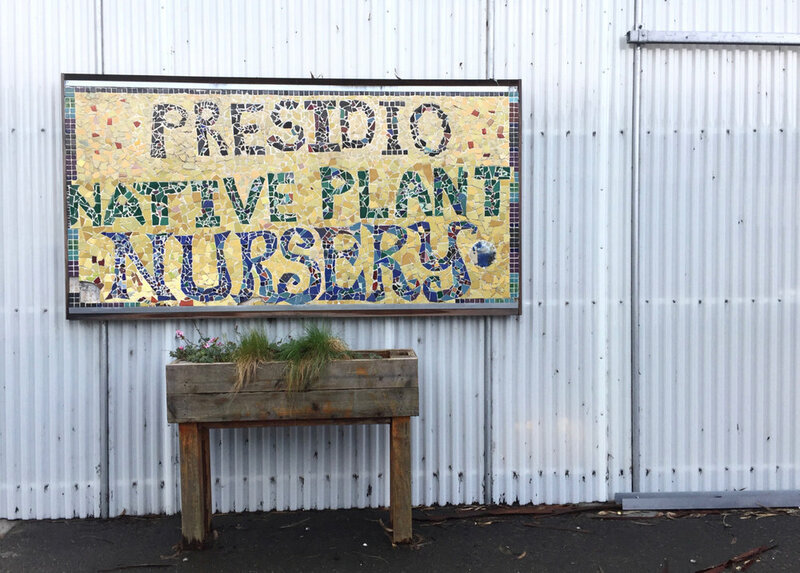 We arrived at the Presidio Nursery a little bit late for the 1pm start on Saturday, but our leader, Desmond, set us up with our own pot scrubbing station in no time. The three of us (and a bunch of other people) had dish scrubbers that we used to dry scrub the dirt off seedling pots. There were other people who washed the pots with soap, others rinsed them, and still others assembled the pots into racks. The assemblers got to use a mallet, so that was obviously the best job. In addition to the pot scrubbers, there were groups that were washing seeds and maybe also sorting seeds. Honestly, I don't remember for sure, though, because once we heard those jobs were very detail oriented and required patience, we were relieved to have been pegged as "Pot Scrubbers" from the beginning. Around 2:30, we had a snack break in the Habitarium. The Nursery provided the snacks, because they are classy like that. After snack? Back to work. This time with the boom box in our palace of pots where many of us did our best pot-scrub-dance-lip-sync routines. It wasn't long before one of the teenagers who was working in the assembly station asked Wyatt if he wanted to use the mallet on the pots once he had them set and ready to go. Wyatt literally jumped at the chance. We even got volunteer pins when we were finished. Like I said, classy. 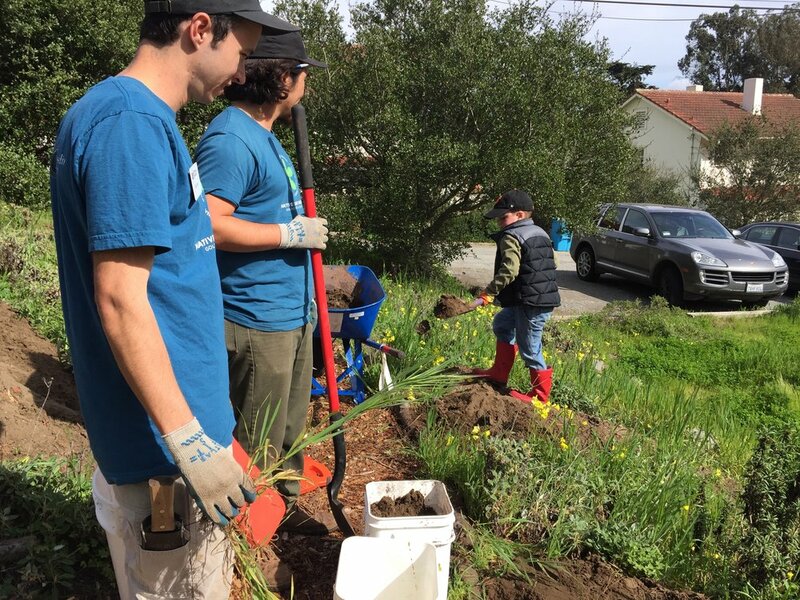 If you're in the Bay Area and interested in volunteer opportunities with the Golden Gate National Parks Conservancy, here's a great summary of what opportunities are available when, and how to sign-up in advance to bring a group larger than four people. And if after a busy day, you, like Wyatt, need more potatoes and olive oil in your life, try this incredible recipe by Penelope Casas for Tortilla Española. I've tried several recipes for this dish, and this is by far the best one. And I'll admit that it may sound fiddly to separate each slice of potato before cooking, but just do it. It's so worth it. When I make this recipe, I use a 10" skillet (we'd be lost without the leftovers), so I need more of everything. I usually use about 5 medium-large Yukon Gold potatoes, a giant yellow onion, and 8 large eggs. I also use not too fancy olive oil. The rest of the recipe remains the same. That is, it remains the same except when it doesn't. This weekend, I couldn't be bothered to flip the omelet. Instead, after the edges of the omelet had begun to set, I put the cast-iron pan into a preheated 350 degree oven and baked it until it was just firm (about 20 minutes). Slightly less beautifully golden on both sides, but equally delicious. "Mom. So you know how Martin Luther King Jr. was killed? That's bad. But that's only half of it. The other half it's so bad is because he was such a good person and doing such important work." I just re-read Dr. King's Letter from a Birmingham Jail. His call to action and reminder that tension is necessary for progress towards justice and equality are just as relevant and important than ever. Wyatt, for his part, has been studying the pictures and illustrations in I am Martin Luther King, Jr. since Saturday, when it arrived from his grandparents. We have read the book to him many times already, but there is still more to learn from studying the illustrations and the photos. He remains astounded by the images of the throngs of people who gathered to hear Dr. King speak ("Look! Those are people! I thought it was a field of flowers!") as well as the images of the people marching. Today was our beach clean-up day. Wyatt, his flamingo hat, and I went with some friends from school, and it was absolutely terrific. To start, our friends had us over to their house for a delicious (second) breakfast before we got started. And then, even though all five of us volunteers would all have been perfectly happy to just pick up trash with our own gloves and call it a Great Day, we got so much more. The Golden Gate National Parks Conservancy is such a class act. 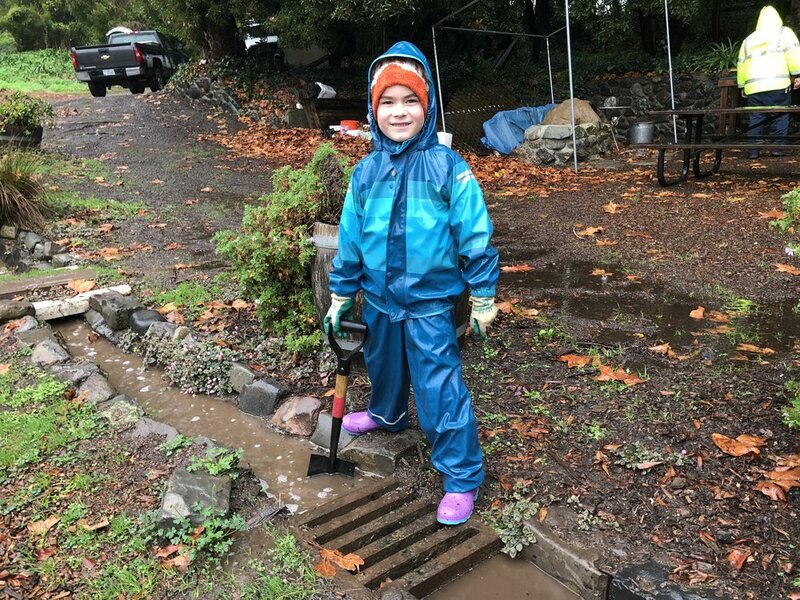 They provided buckets, gloves, kids activity books, pencils, and the opportunity for the youngest volunteers to be sworn in as a Junior Ranger at the end of the project. They were more than ready for all 267 of us registered volunteers. I think we were all expecting there to be a lot of easy, obvious trash to pick up, but there wasn't. In fact, at first glance, the beach looked pretty clean. 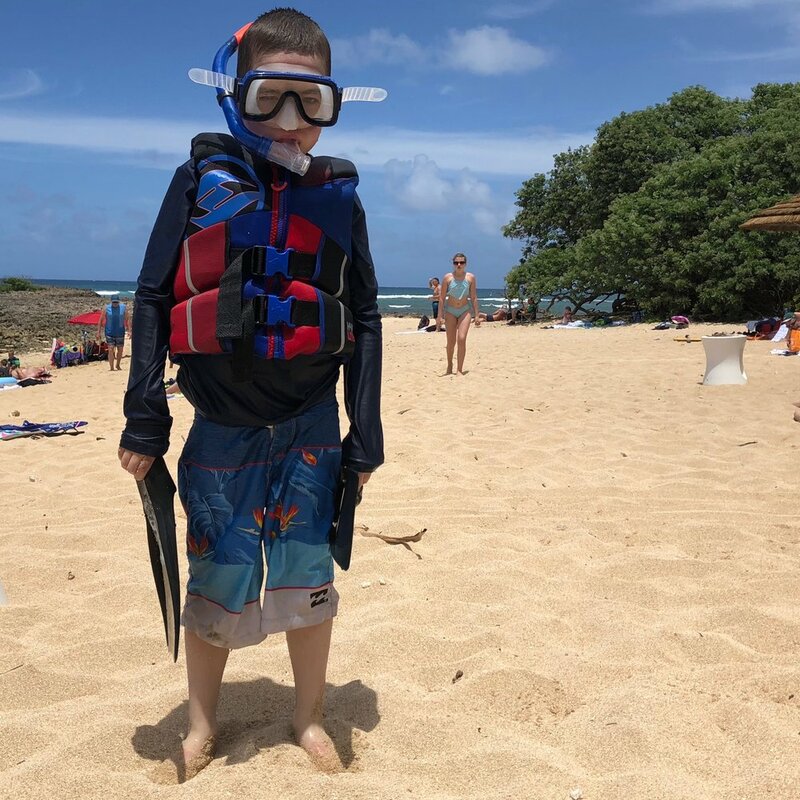 But once we started focusing more closely, hunting for trash like you would seashells, we found lots of shards of sharp glass, plastic straws, bits of colored plastic, dental floss, paper, Lego pieces, plastic toys, bits of plastic bags, and a syringe. Fortunately there was no needle attached to the syringe, because one of the kids proudly presented it in her fist as a "Great piece of trash that does not belong on the beach!" As her mother and I suddenly realized, the Ranger's warning not to pick up dog poop or dead birds meant something (and probably wasn't even necessary--that stuff's gross). But "Don't pick up hypodermic syringes or needles!" might as well have been "Don't pick up fitzwooshles or tizzywhats!" If you have no idea what they are, and you're five, you might incorrectly conclude there's no way you could find any. By the end of the project, the children had answered the necessary questions in their activity books, and Ranger Maria was ready to check their work, administer the Junior Ranger Pledge, and give them their badge. "I promise to help take care of the beaches I visit including the Golden Gate National Parks. I also promise to continue to explore, learn about, and protect the natural world wherever I go,"
Thanks to the pledge, charming Petey the Golden Plover who stars in the activity book, and all the bits of plastic and straws we found, Wyatt has renewed interest in minimizing plastic waste. If we ever needed proof that action makes a difference, we have it now. But wait, there's more! I have been all talk lately about how I want us to make dinner together on the weekend. I have been grumbling, whining, and announcing this wish for months; but until this weekend, I had no plan to put my wish into action. The key, as it turned out, was to make a simple plan for a meal where everyone could do something and I didn't have to orchestrate much. We made Mark Bittman's super easy and great Salmon Roasted in Butter, the most delicious recipe for Baby Bok Choy I've ever found, and Wyatt made his specialty: fried potatoes. He uses a crinkle cutter to get them the right size and shape and then shallow-fries them in avocado oil. Once ready, he rains a sprinkle of Kosher salt down on them, and we gobble them up.